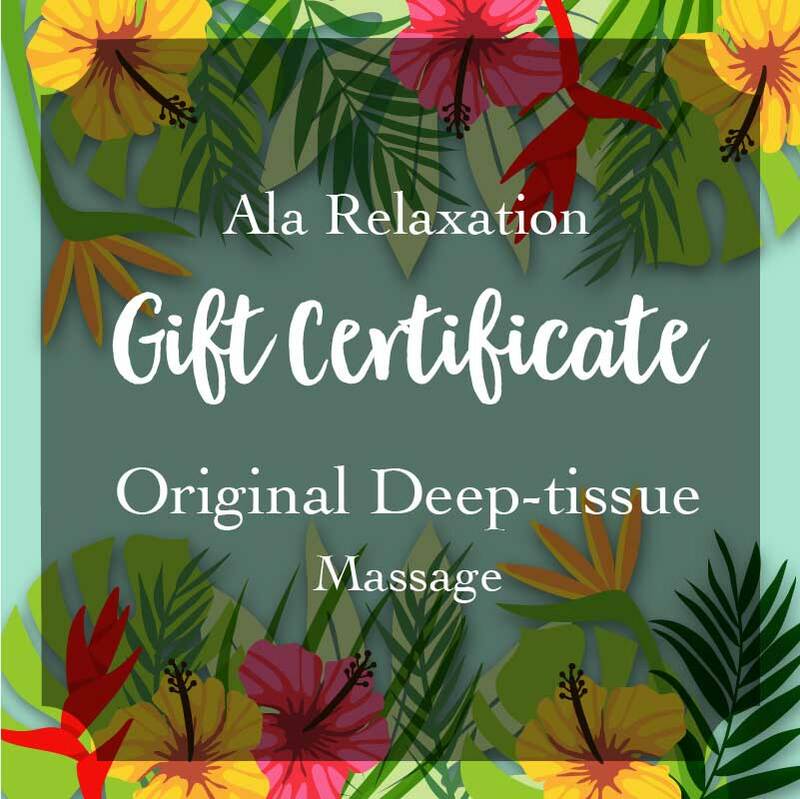 Massage gift certificate of Ala Relaxation Okinawa deep-tissue massage. Ala Okinawa Original Deep-tissue Massage (Dry massage) has been developed over many years, combining techniques from around the world. These techniques meld those of Shiatsu, (i.e., acupressure massage — a Japanese healing art rooted in the philosophy and practice of ancient China), and those of Thai massage. Ala Okinawa Original Massage involves deep tissue manipulation ideal for relieving stiffness in both muscles and joints. Duration and price : 30min. 3,000yen, 60min. 5,000yen, 90min. 8,000yen, 120min. 10,000yen.